A while back, I was supposed to go see Monster’s University with my siblings, but unfortunately it somehow ended up not happening 😦 I still haven’t gotten to see it! 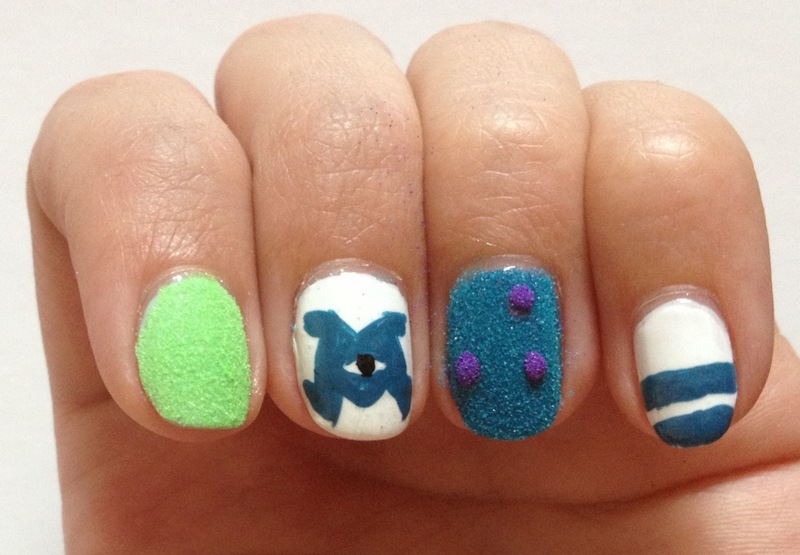 But, I did do a themed manicure anyway! 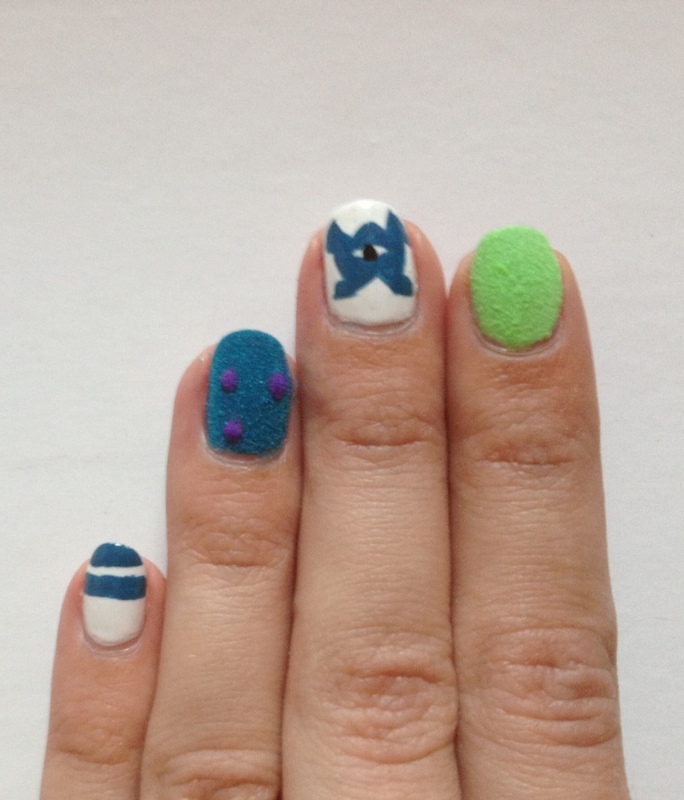 It also meant that I got to try out the fuzzy nail thing with flocking powder for the first time! 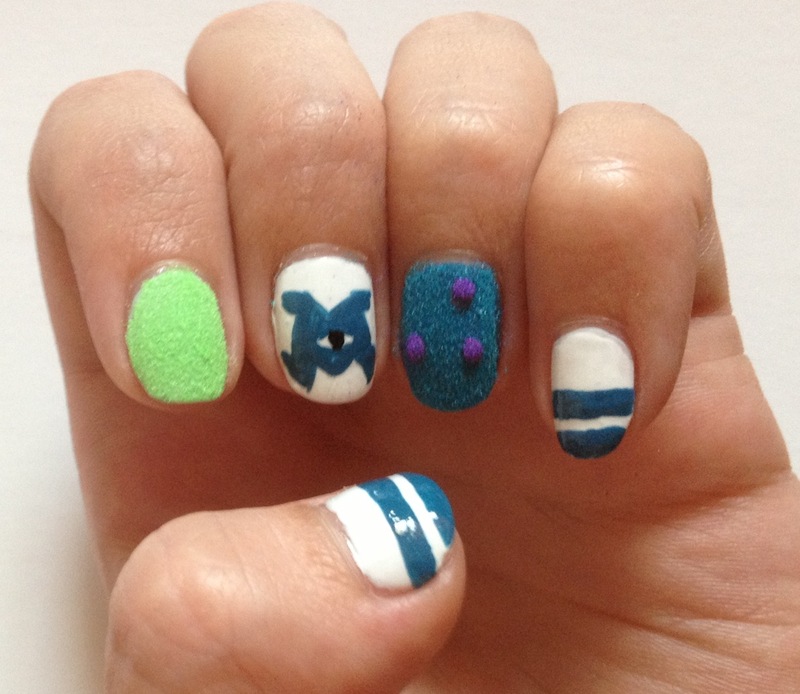 I’m not sure what I got was the right stuff for a velvet manicure, but it worked for this look.